Lauren Beukes is a South African writer, who has set her book in Chicago--jumping from the early days of the Depression to the early 1990s. The story follows a drifter serial killer, who stumbles upon his purpose in life. Finding refuge in abandoned home, he finds a doorway to different decades. He embarks on a multi-era killing spree, spurred on by random objects in the house. If your inclined to stop right here, consider that the premise above, which moves the plot forward, is really just background, a literary device. The compelling aspect of this novel is the characters. The "shining girls" that draw the killer are terrific portraits of working women throughout the 20th century. They do not fit a type, other than that they have potential that makes them "shine." The hero in the story is a victim who survives. Kirby was already an old soul before she was brutally assaulted. Her quest takes her through Chicago's neighborhoods, interestingly just before technology (smartphones, Blackberries, etc) truly changed the nature of investigation. The killings are brutal, and this was the author's intention. According to an interview, she wanted readers to understand the real cost of terrible crimes. The book has already been optioned for development for TV. This seems appropriate, because this story unfolds in chapters that build. 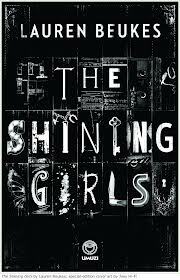 A two-hour movie would not do The Shining Girls justice. The narrator in Clare Messud's novel The Woman Upstairs doesn't like herself very much. Nora Eldridge talks in a hyper aware tone that does her a disservice. Granted the novel is looking backwards. The story recounts Eldridge's relationships with a Italian-Lebanese family posted in Cambridge because the husband has a guest lecturing post at Harvard. The wife is an artist and the son is in Nora Eldrige's elementary class. She falls in love with this family, clinging to them as some sort of surrogate to fill her own needs. The book is well-written and the narrative keeps you going, because she hints throughout the book that she is justified in her anger. She is and isn't. This book has so much discussion potential. The book delves into our assumptions about others and ourselves, and the treachery in navigating anything new and seductive. How does one balance want versus need? The story also has implications about society and the hazards of stereotypes--good and bad. The Woman Upstairs isn't hard to read, but can be hard to hear. 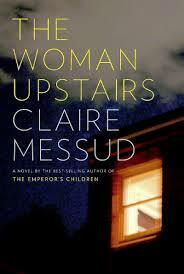 Clare Messud's previous novel is The Emperor's Children. She has been a finalist for the PEN/Faulkner Award. All four of her books have been named to The New York Times Notable Book of the Year. She has been awarded Guggenheim and Radcliffe Fellowships.